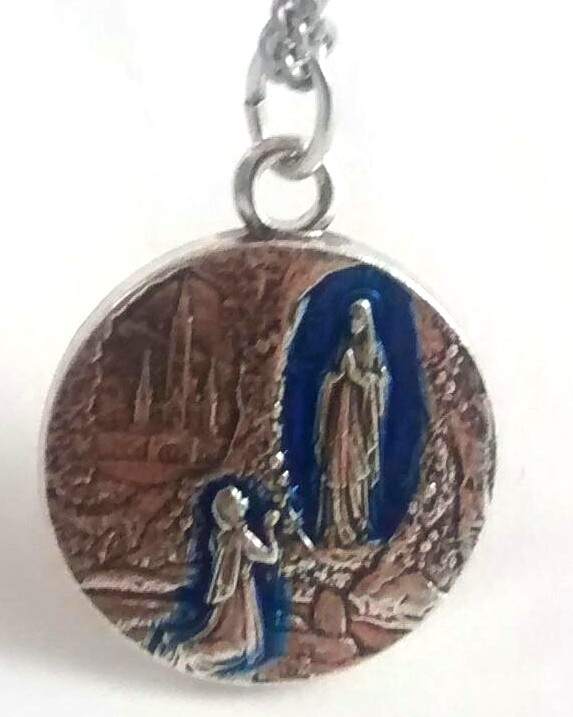 Our lady of Lourdes blue enamel medal with lourdes water featured on the back of the medal. 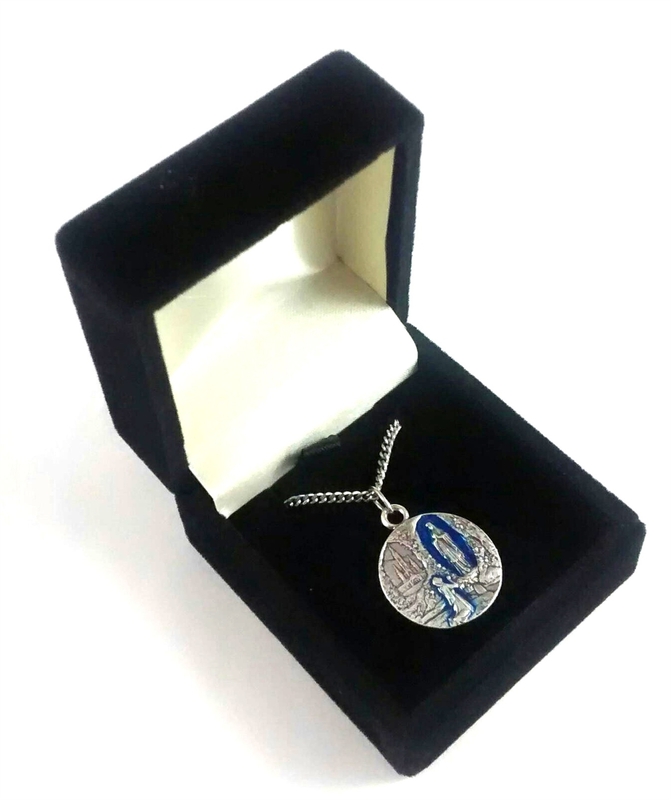 The round medal includes a 20" chain, and is presented in a lovely velvet black gift box. 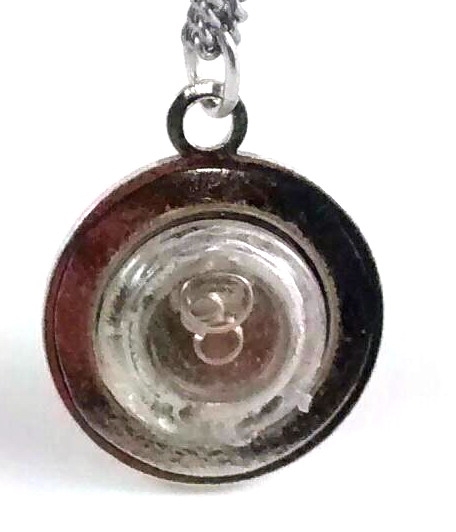 Sterling Silver Our Lady of Lourdes Pendant, Sterling Silver Lite Curb Chain, Medium Size Catholic Medal, 3/4" x 1/2" Gold Filled Our Lady of Lourdes Pendant, Gold Filled Lite Curb Chain, Medium Size Catholic Medal, 3/4" x 1/2" 14 KT Gold Our Lady of Lourdes Medal, Large Size Catholic Medal, 1" x 3/4" Sterling Silver Our Lady of Lourdes Pendant, Stainless Silver Heavy Curb Chain, Large Size Catholic Medal, 1" x 3/4"
14 KT Gold Our Lady of Lourdes Medal, Medium Size Catholic Medal, 3/4" x 1/2" Gold Filled Our Lady of Lourdes Pendant, Gold Filled Lite Curb Chain, Small Size Catholic Medal, 1/2" x 1/4" 14 KT Gold Our Lady of Lourdes Medal, Small Size Catholic Medal, 1/2" x 1/4" Gold Filled Our Lady of Lourdes Pendant, Stainless Gold Heavy Curb Chain, Large Size Catholic Medal, 1" x 3/4"